What does it mean to be truly alone? To be a prisoner of your own mind, a perennial stranger in a strange land? Edward Charles Harden has spent his life in self-imposed isolation, a prisoner of his manor study, chained to books and letters ; his only contact with the outside world his sister Betty, and Lissie, Edward’s young ward. But now his sister has vanished and Edward must overcome his fears to follow her fading trail. Accompanied by Lissie — his steadfast companion and his only, tenuous connection to reality — he must embark on a dark journey into the misty fjords of rural Norway. There’s much more going on here. Described as a ‘Fjord Noir’ tale of mystery and suspense, Draugen is more than a quest for a missing woman; it’s also a story about an unusual friendship, a forsaken community, a family torn apart by secrets, and a man haunted by his own past. Lissie is an independent and personable companion who reacts and interacts with Edward through dynamic dialogues and a context-sensitive interface. Witness the environmental changes alongside Edward’s worsening mental state. Discover the clues left amongst the twists and turns of the unravelling mystery. Accompanied by a moving, original score by award-winning composer Simon Poole. This looks interesting. The voices don’t match up with the characters but it has potential. 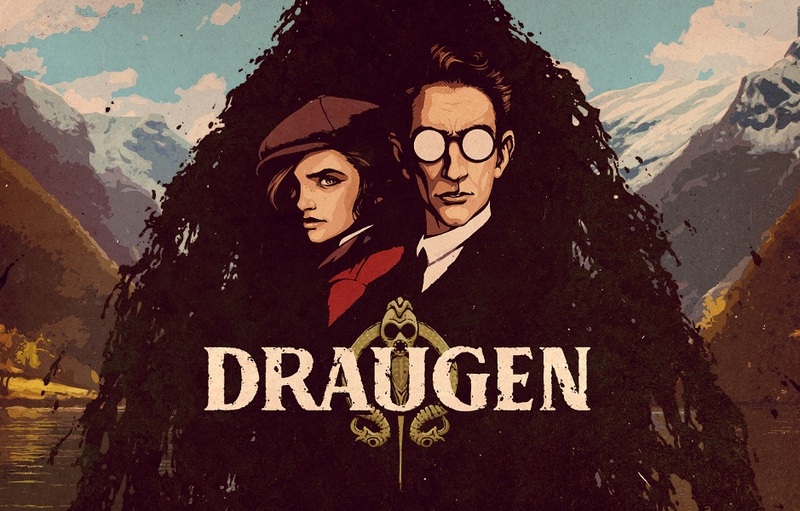 Draugen is coming out in May of this year. Next story Anime NYC is Looking for Staff!